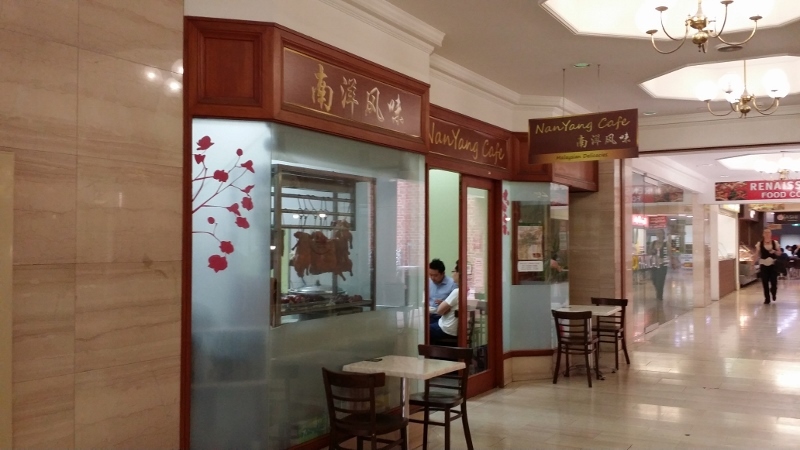 NanYang Cafe serves the most authentic Malaysian hawker food in Adelaide and is located right in the heart of the city, at Renaissance Arcade in Rundle Mall. Their Char Kway Teow is the best in Adelaide. 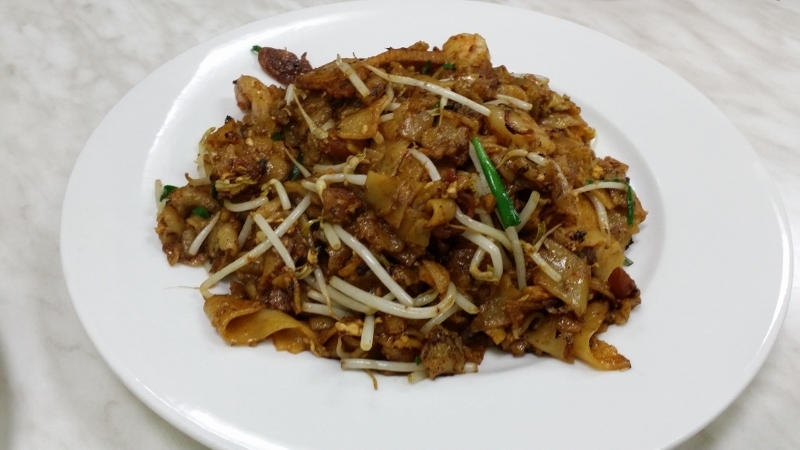 Char Kway Teow is rice noodles that are stir-fried with dark soya sauce, belachan chilli, prawns, chinese sausage, fish cake, egg and bean sprouts. You can order this dish at different degree of spiciness. Medium is the maximum level you should go for because it is 'hot enough' even for my dad, who has a very high tolerance level for chilli heat. A good Char Kway Teow must be served piping hot, has excellent belachan chilli and crispy fried lard pieces garnishing. NanYang's Char Kway Teow ticked all the boxes. Lor Bak is my dad's favourite dish. He likes it so much that we have to order two portions nowadays. 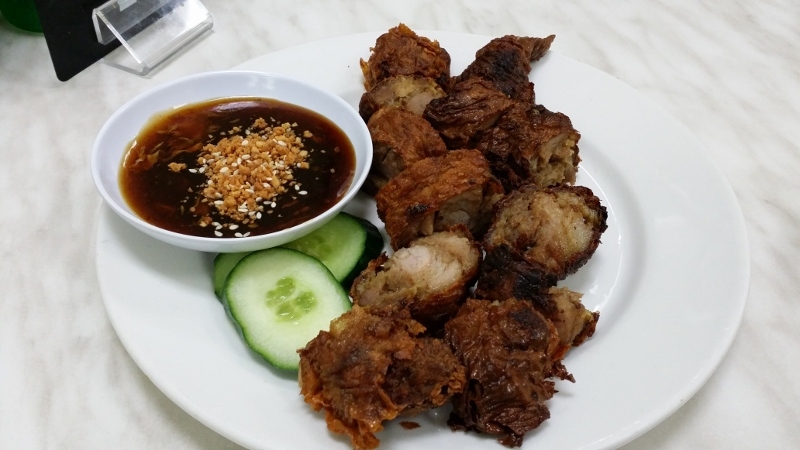 The Lor Bak served here consists of deep fried parcels of bean curd skin that is wrapped around pieces of meat seasoned with five spice powder. The bean curd skin is crispy which contrasted nicely with the meat filling. 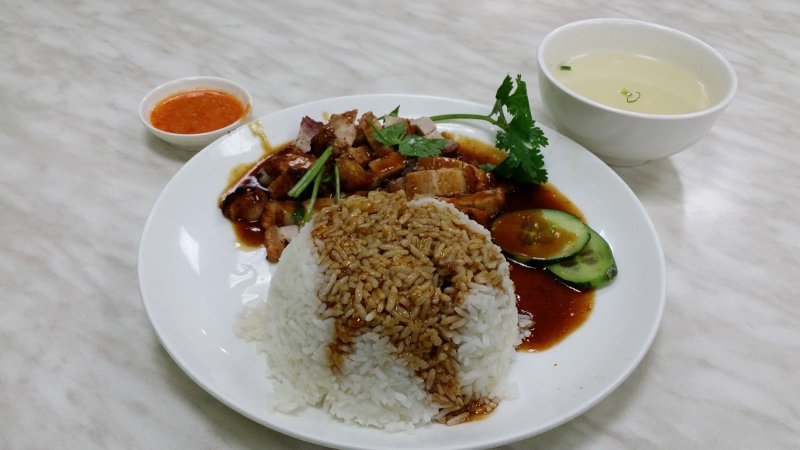 Served with the dish is a slightly sweet sauce that complemented the Lor Bak perfectly. My favourite dish is Crispy Roast Pork Rice. It consists of slices of crispy roast pork that is served with a generous portion of rice that is topped with a soy sauced based sauce. I found the roast pork used in the dish to be one of my favourites, with crispy crackling that is not too tough contrasting wonderfully with the perfectly cooked meat. The dish also comes with a serving of chilli sauce to dip the pork in if you want to give a little bit of zing. There is always a queue at NanYang during peak lunch and dinner hours. For lunch, the queue for places starts to build up after 12noon. However, they have a good system in place now. A cafe staff member is in charge of seat allocation and will let you know your table number. You can reduce your waiting time if you are not part of a big group and do not mind sharing a table with other customers. Prices are pretty reasonable at around $10 per dish. Oh nice, one to add to the lunch menu at work!